We’ve still got two weeks until you can pre-order the iPhone X for yourself. Apple’s tenth anniversary smartphone is on the mind of a lot of folks. After all, it’s not every day that OLED makes an appearance on the iPhone. It’s taken Apple a good ten years to make the upgrade. Alongside OLED, we also get Face ID, which allows users to access their smartphone’s features using nothing but their face. However, it’ll be quite a while before you folks can lay your hands on an iPhone X. Till then, we’ve got just the thing for you. Take a look below to find out more. This year, it’s all about edge to edge, bezel free display. Like camera bumps, the feature is a thorn in the sides of many manufacturers and users. After all, why bother to look at ugly black bars with little functional value if they can be avoided? But unless you’re Samsung, equipping smartphones with no bezels isn’t easy. Apple’s found it out the hard way and so has Google. Mountain View takes the easy way out and equips the Pixel 2 with a bezeled display. The delay in iPhone X’s orders isn’t primarily due to OLED displays. Rather, it’s Face ID, the smartphone’s main feature that’ll also cause laying your hands on one a chore. Apple’s having a tough time getting Face ID’s required components in adequate quality and quantity. This not only pushes the device’s pre-order date to the end of October, but it’ll also impact delivery dates significantly. In fact, it’s expected that iPhone X production will not hit optimum levels until the end of 2017. What this means is that the majority of folks who’ll jump the pre-order train this October won’t get their hands on one before 2018. The few that will are likely to put theirs up for sale on eBay. After all, it’s the only way you can get your $1,000 investment to pay off. Unless you’re a big fan of animojis that is. 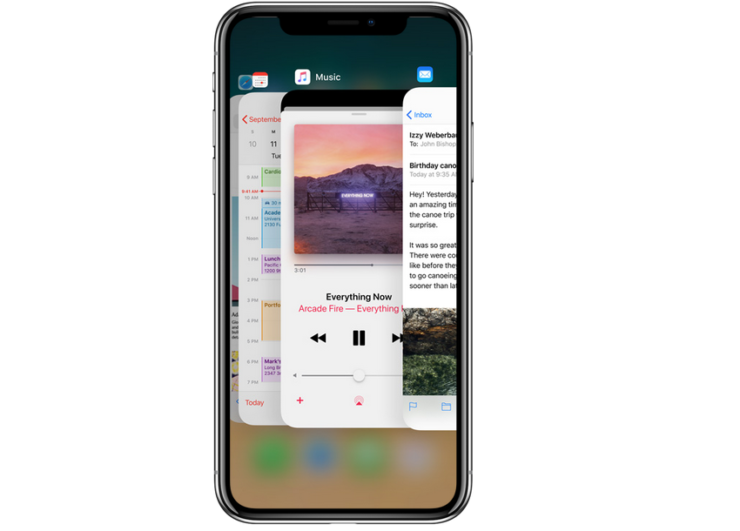 Another big, albeit unmentioned feature of the iPhone X will be its processor. Apple’s A11 is giving some fantastic results in benchmarks. The processor finally beats Android in multi-core, a performance segment where it hasn’t been able to catch up in years. All this is thanks to the A11’s six cores firing up together when needed for multi-core. Thoughts? Let us know what you think in the comments section below and stay tuned. We’ll keep you updated on the latest.